Unarmed against the blade...be sure to prevail! Vladimir Vasiliev, a 10-year veteran of an elite Russian Special Operations Unit, reveals the ancient secrets of Systema. Benefit from the battle-proven skills of the professional close-quarter knife fighters. A top combat expert shows everything you need to know for cutting-edge self-defense. Critics say this phenomenal instructor has written a new page in the history of martial arts. Instinctive moves are the most devastating, so SYSTEMA develops your body’s natural capacity to defend itself in any situation. Vasiliev’s unparalleled energy, power and skill are so inspiring that you absorb the moves just by watching the film. Ideal for beginners, indispensable for pros! The movement sequences are disarming, literally. Seeing a (training) knife flying away from the camera’s point of view in a disarming move, across a room and hitting another was better than a Hollywood movie. I was particularly amazed at the progressive unbalancing that increased in magnitude creating a topsy-turvy effect on the opponent. I have not seen such advanced unbalancing the opponent techniques before. I am convinced your legacy in film will establish you as the foremost fighter the world has ever seen. It is truly an honour to be able to be your student. Defending oneself against knife attacks is significantly more difficult and dangerous compared to empty hand or most other weapons. An attacker with a knife is a dangerous individual. In this DVD, Vladimir in his signature fashion, presents clear, concise and creative methods for protecting oneself from knife attacks. Regardless of the angle of attack, solid Systema principles are again utilized here - from proper breathing, matching opponents speed and seemingly effortless flow. 1. The same movements are executed with a knife in this DVD as they are shown in empty hand defense. Instead of something brand new to learn, knife fighting becomes an extension and expansion of existing knowledge. You already know the alphabet and the words, now you will learn to speak sentences. 2. The other major factor I really like was the variety of angles, attacks and speed demonstrated. Side attacks to the ribs, overhead strikes, direct (straight) thrusts and hidden slashes are all defended smoothly in this DVD. The reality is that knife defense is a difficult aspect of any martial art.This tape makes it learnable. With enough practice and viewing, it can become a skill in your arsenal. This DVD is the most incredibly effective and easy-to-learn DVD on knife defense I have ever seen! It covers everything from stab defense to getting out when it is held at your neck from behind, ready to cut at your slightest move. It also contains very helpful supplementary material of Mr. Vasiliev "doing his thing" at assorted knife defense seminars. It was well worth the price!!! thanks Vladmir! this DVD is AWESOME! Ok this is the video that started it all for me. After watching this video I was bitten by the systema bug. I was impressed by his lazy almost noninterested nonimpression emotionless attitude about some one attacking him with a knife. I also enjoyed the demotrations of Valdimeir taking on up to three knife attackers to sound of electric guitar music. I enjoyed the fact he came off as this lazy styled sala dancer and this slippery fish concept of using the body as much as the arms to deflect the knife thrusts. I have purchased Fundamentals of Knife Disarming and watched it many times. The best word to describe it is "amazing". 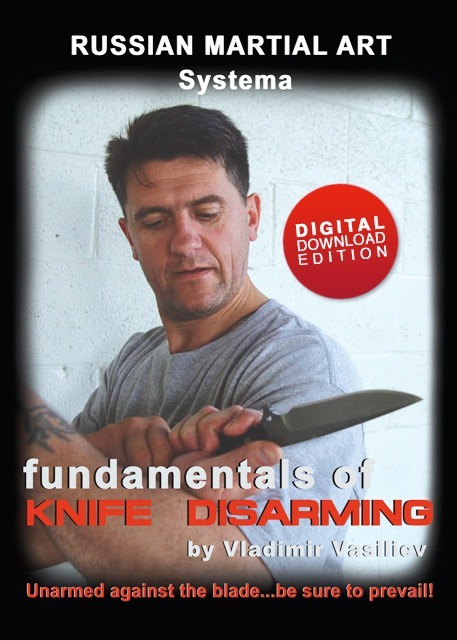 Vasiliev's Fundamentals of Knife Disarming is the most impressive DVD that I own in my collection. My name is Maxime and I am a 17 year old student, I'v been watching and lurning Systema for about one year. Last night I was attacked by 2 individuals and one of them was armed with a knife, it was the first time using the Russian Martial Art skills that I studied in Fundamentals of Knife Disarming. My movement was more like a reflex then thinking what to do, I just wanted to thank you for what you for this video cause without it, who knows what would have happened. The unfortunate aspect of all weapons' work is the lethality involved. We do not "play" with weapons. The uniqueness of this DVD: Fundamentals of Knife Disarming, has as its most fundamental theme the importance of learning how to disarm our personal fears when working against the knife. After all, it is the man that is dangerous--not the weapon. This is implicit troughout the DVD. The format of this production progressively leads the practitioner from simple yet profoundly life-saving evasive movements to more direct, and aggressive knife disarms. Do not be fooled by the subtle aspects of the elusive body work, relaxed disarms, and soft, circular counter actions. Though the instructional and learning environment presented in this production appears "playful" and relaxed, which is essential for understanding and experiencing the crux of the Systema (being relaxed in the midst of chaos), the counter actions and disarms are designed to cause trauma to the adversary while removing the defending person from harm's way in smooth, immediate and spontaneous fashions while under duress of a life-threatening assault. The movements taught on this DVD, when executed full-speed, full-force in a relaxed and centered manner against an adversary fully intent on engaging in lethal force force, will result in serious and permanent damage against such an assailant. For a real understanding about how to work against a blade with the threat of lethal force imminent, the potential buyer will be hard-pressed to find anything superior to or even equal to the methods revealed on this DVD selection any where in the current martial arts arena. This DVD is about surviving and prevailing against the blade, not just about disarms. Learn to fight the man--not the knife. Everything in this video can be used from basic to advanced. The Russian SYSTEM works great, also integrated with other types of work. It is nice to see good quality instruction out there. Mr. Vasiliev demonstrates that. once again,vlad, job well done sir. I just saw the video and it was very impressive. I have never seen anything like that before. The moves were very simple and easy to do. Before I saw this tape I was very confused when I viewed the systema clips on this website. The movements by the people on those video clips were very strange. But now when I see these clips, it makes alot more sense. I wish there was a systema school near my house. Fundamentals of Knife Disarming Review I have just watched Vladimir’s original Knife Defense video followed by his new Fundamentals of Knife Disarming DVD and would like to offer a review comparing the two, especially because the former tape will no longer be available. The main difference between the two videos is that the Knife Defense video is more of a “technique-oriented” video while the new Knife Disarming video is more in line with the true Systema principle of responding to the situation as it is versus trying to remember and apply a technique. The Knife Defense video showed many practical disarms, although in isolation. This type of video is very popular with technique-collectors who are looking for a new move to add to their repertoire. I used to recommend this tape as a good place to start learning Systema for someone who has had experience in another martial art because it showed moves that they could easily understand. They could also readily accept the material presented because the training methodology was more in line with what they already have been through in other martial arts. One critique of the tape I have heard comes from a lack of understanding of Systema in its totality. People would look at one disarm and doubt its effectiveness only based on what they saw on the tape, again, only in isolation and not in the greater context of motion. 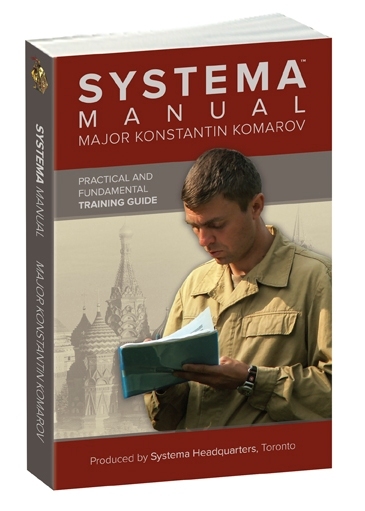 People who train in Systema know that, as Vladimir says, the moves are only ideas. If one movement he chose to show did not work then there are many other moves to draw from. For example, Vladimir shows an idea of how to disarm a knife with the legs. Some might say they would never try that. However, what if you had to use your legs because you are bound and cannot use your arms. A casual observer of this tape does not understand this. Vladimir was showing the possibilities. The new Fundamentals of Knife Disarming DVD, by contrast, shows more of the actual Systema training methods against a knife that were missing from the first tape. The DVD does not even begin with disarms but how to move your body against the knife. This section is one of the unique aspects of Systema in that Vladimir shows to move your body first for defense and not your limbs. He also explicitly explains the rationale for learning to move the body to prevent the knife from penetrating your body. The teaching methodology of moving from the worst-case scenario, the blade touching your body, then only later showing how to deal with the knife with your limbs and before body-contact is made is truly revolutionary in its approach. This training idea alone will improve anyone’s martial skill no matter what art they study. At one point in the DVD Vladimir says that it is not correct to try to reduce everything to specific techniques because each situation is different. But this is what people like to see so he obliges and shows specific examples in the second part of the video. So, like the previous Knife Defense video he shows some basic disarms. So if you are concerned about not having the Knife Defense video, rest assured the material is covered thoroughly here. The end of Fundamentals of Knife Disarming is the real bonus for students of The System. This section contains actual seminar footage of the movements “in action.” Vladimir shows how everything comes together in a montage of clips from his teachings all across the world on attackers of all sizes and experience levels. These clips end the video on a high note and are inspirational to say the least. In the midst of the attacks you can see how trying to force a specific technique is next to impossible and constantly moving and adapting is much more effective. Another critical improvement over the older tape is the explanation and narration offered by both Vladimir and Valerie Vasiliev. The new DVD is buoyed by Vladimir’s vastly improved command of the English language and when he needs something translated from Russian Valerie explains things clearly and concisely. The narration on Knife Defense was more mechanical and directed toward the physical motions while the explanations on Knife Disarming are an invaluable insight into the philosophy and underlying principles of The System. Watch the video but also take the time to listen to the explanations, as they will lead to you to new levels of understanding and skill. Overall, Fundamentals of Knife Disarming is a vast improvement over Knife Defense and makes it unnecessary (although I can say that as I already have a copy). The only lament is that it always leaves me wanting to see more. Of course, that is what going to seminars and training with Vladimir is for. This DVD has left me nearly speechless! Each and every time that Vladimir introduces a new instructional video or DVD, I am surprised at the breadth and depth of the presentation. I keep saying to myself 'this is it! This is Vladimir's finest video yet! It cannot get any better!' and yet it does. I would charactorize "The Fundamentals of Knife Disarming" as expressing the profound simplicity of Systema. The Russian psychologist Lev Vygotsky introduced the concept of "scaffolding" and the "zone of proximal development" to the vocabulary of modern education. Vladimir's approach illustrates the educational principles perfectly. Vygotsky compared the process of learning to the act of climbing a ladder, where the student has to mentally reach above him or herself to move to the next rung of the instructional ladder. In constructing the educational "scaffold" or ladder, the teacher has to be careful to place the "rungs" of the ladder high enough that the student has to conceptually stretch him or herself enough to reach the next rung. Yet the teacher cannot place the next "rung" of the educational ladder so high that if the student reaches for it he or she will be unable to reach it. The proper location of the next educational "rung" of the conceptual "ladder" is what Vygotsky calls the "zone of proximal development." As I'm sure you can imagine, constructing an educational ladder that will reach a broad audience of students ranging from rank beginners to advanced professionals is quite a task. Vladimir in this DVD was clearly up to the job. Step by step, Vladimir explains the principles behind what he does in a way that is immediately comprehensible to the beginning student. He then shows exercises designed to practice those principles that take the student one step at a time to the next level, and then the next, and then the next, until the student is at a point of practice that appears to an outside observer to be highly complex and skilled. While Vladimir is instructing the beginning student on the basics of body movement and knife disarming, at the same time he makes explanatory side comments connecting the lessons to the core philosophies of Systema that most likely will be missed by beginning students but will be deeply instructional for the more advanced students. I could not watch this DVD in one playing from the beginning to the end. Every five minutes or so into the instruction, I found my mind exploding from the numerous insights I was being taught about the essence of the System. I found that I had to stop the DVD, get out of my chair, and then in the middle of the night practice the illustrated moves by myself against an imaginary partner. This DVD is so profound it can serve both as an "elementary school" introduction to Systema for an individual who has had no previous exposure to it, while simultaneously it serves as a "doctoral seminar" for an advanced student who has studied all of Vladimir's previous productions and attended many of Vladimir's live instructional seminars. I am continually impressed with the purity of Systema. I even had spiritual insights while watching this DVD. Another timeless classic, Vladimir takes you through a steady progression of excercises designed to heighten body awareness and relaxation under a very stressfull situation - knife attack. It starts from actual contact with the knife, and works it's way through to interceptions from a distance, how to move and manipulate with your body, what to do if you get 'caught' being tense. Throughout Vasiliev demonstrates breathtaking control of his body, and the sort of casual, off-the-cuff invincibility people known so well by viewers of his other tapes. The finale is a series of seminar footage where he puts it all together. Very useful information I'll be reviewing for months to come. I am fortunate enough to have seen this DVD -- thanks to Vlads generosity! I have all of his work -- all viewed many times. THIS is perhaps one of his best offerings...so far. There is a wealth of the best recorded Systema 'work' against blades on this particular DVD. Fundamentals? LOL! A generous mix of this and the more advanced work that Vlad just does naturally. I sincerely doubt that even the MOST experienced Systemist would not find pure gold in this vid. Kracevia robote, moy horosho druk Vladimir! "This movie is a masterpiece. be lower in the near future. for all other movies that Vladimir will be producing in the future. edited, and with professionally clear studio sound. the exercises were really eye-openers for me. levels and with different speeds. 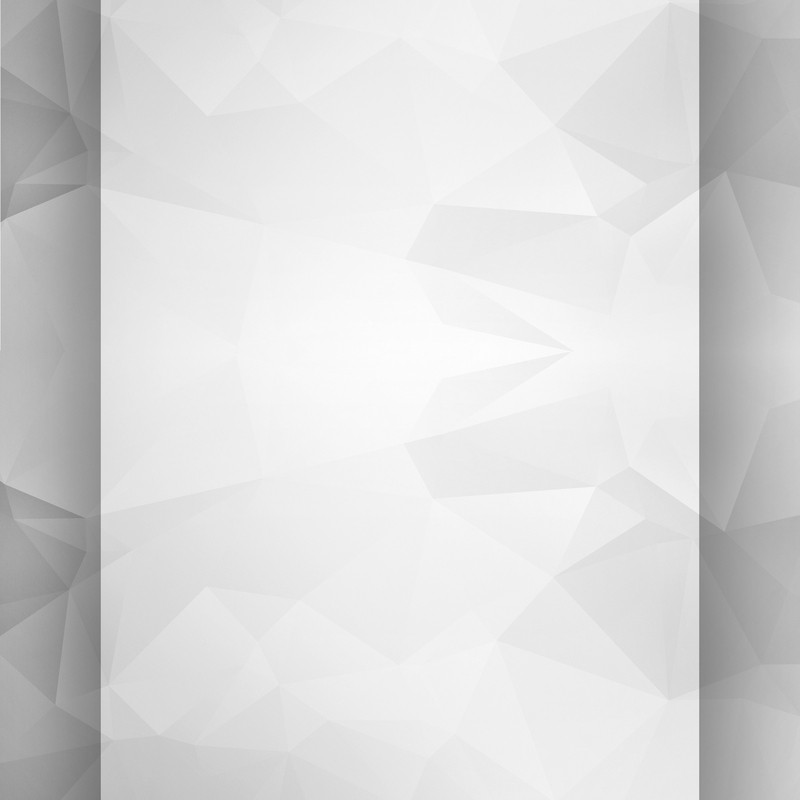 makes a "wow" effect, since the motions are effortless and easy to use. and subtle but at the same time devastating and beautiful. "I was lucky enough to preview the all new "FUNDAMENTALS OF KNIFE DISARMING" film. you will never get tired of watching!!! The generosity with which Vladimir gives away information is priceless. useful when you need to go back to a certain chapter). Developing and using sensitivity… it's all there! full speed, with both training blade and real knife! Get one when it's out! Trust me, it is invaluable!!! Cheers!" FUNDAMENTALS OF KNIFE DISARMING shows the pure genius of Vladimir's knife work and is packed with a wealth of exercises and tips that will directly prepare you to survive against all conceivable knife attacks. from different angles to illustrate and ensure absorption of key concepts. suggestions for more advanced work. attainable through a bit of hard work and dedication. clear and quality instruction in the area of knife defense.